This Place of Worship was founded in 1804, and we understand it is still open. A Wesleyan Chapel in Brimscombe is recorded on OS Maps of 1886 at this position; also Kelly's Directory of 1923 records Brimscombe as having a Wesleyan Chapel. It is recorded in Non-Conformist Chapels and Meeting Houses, Gloucestershire (1986) under 'Thrupp', where it is described as having a gabled front of 3 bays, with 2 tiers of round-arched windows. According to notices appearing in The London Gazette, Brimscombe was in the civil parish of Thrupp in the 1930s. 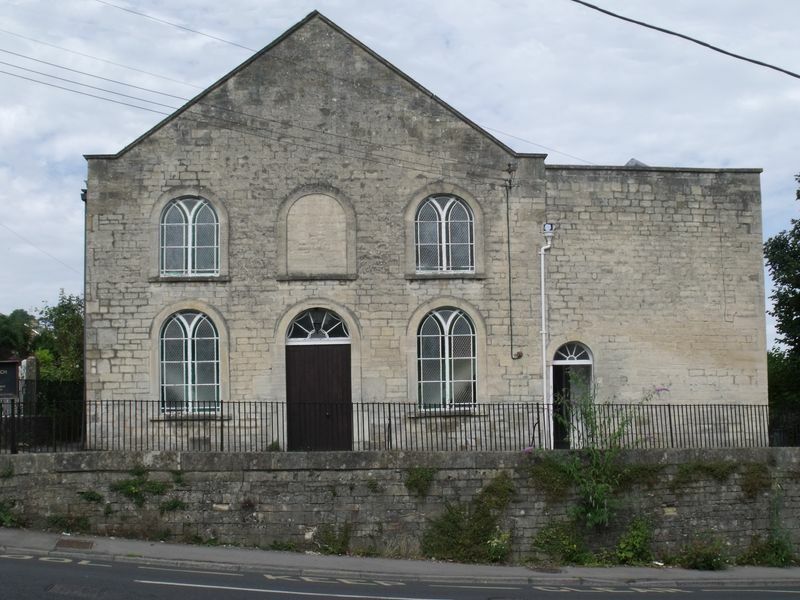 The return to the Religious Census of 1851 (HO 129/338/6/1/7) indicates that the Wesleyan Chapel in Brimscombe was built in 1804, as a separate building, used exclusively as a place of worship. There were free seats for 100, and 240 "other" sittings. The estimated congregation on March 30th was 170 worshippers at morning service, and 102 Sunday Scholars, and 190 in the evening, with no Sunday School. The return was completed by Charles Shaylor, its Steward, whose address was "Swells Hill, Nr. Brimscombe, Minchinhampton, Glostershire". The Chapel is now a Listed Building (Grade II) - see the British Listed Buildings website for further details. The webpage for the Chapel on the Gloucestershire Methodist Circuit website indicates that it has been preserved largely intact, "including an upper gallery", which is impressive. Brimscombe Methodist Church, Brimscombe shown on a Google Map. Places of Worship in Brimscombe shown on a Google Map. I have found many websites of use whilst compiling the information for this database. Here are some which deserve mention as being of special interest for Brimscombe, and perhaps to Local History and Places of Worship as a whole. Information last updated on 26 Jan 2019 at 13:47. Please also remember that whilst the above account may suggest that Brimscombe Methodist Church remains open and accessible, this may not remain so. This Report was created 30 Mar 2019 - 17:31:57 GMT from information held in the Gloucestershire section of the Places of Worship Database. This was last updated on 7 Feb 2019 at 07:45.